Conor graduated from the double degree; Bachelor of Health Science and Chiropractic at RMIT University with distinctions. He is an avid learner, completing many courses whilst completing his chiropractic degree. Conor has completed the SFMA level 1, FIFA diploma in football medicine and level 1 dry needling and cupping courses and is a member of the Australian Chiropractic Association (ACA) and Sports Chiropractic Australia (SCA). Born in Birmingham, England and moving to Australia in 2006, sport has always been a big part of Conor’s life as he starting playing soccer at age 3. Growing up, Conor participated in an array of sports, from Soccer and cricket to powerlifting. In 2011 Conor spent 6 months in England training and trialling with 3 professional soccer teams. One of his proudest moments was when he represented Australia in the 2012 GPC Powerlifting World Championships in Slovakia, earning a silver medal. However, it is his original love for soccer that drives Conor’s passion and his particular interest in athlete rehabilitation and injury prevention. Dr Conor focuses on his patient’s treatment goals and preferences, not just treating symptoms. Combining both active and passive treatments to get the best results, Conor’s incorporates a wide variety of treatment techniques to help is patients feel better faster. 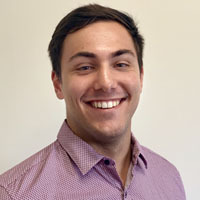 Conor’s bright and warm personality, along with his excellent communication skills makes him a popular practitioner at South Eastern Active Health. His enthusiasm for helping people feel better and achieve their goals is echoed in his own life, as Conor keeps himself in peak condition by exercising regularly and still plays soccer. He also continues to expand his clinical knowledge by regularly attending professional courses and seminars.